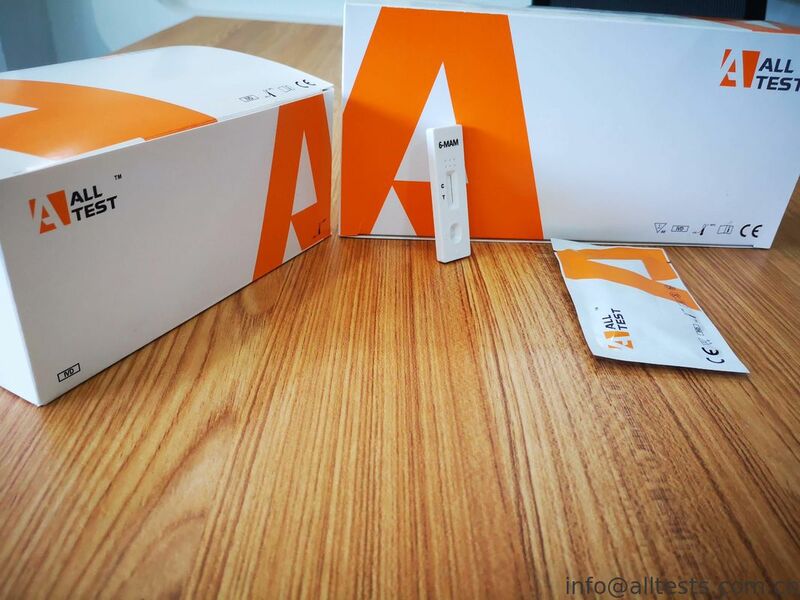 The MEP Rapid Test Cassette (Urine) is a rapid chromatographic immunoassay for the detection of (±)-4-Methylephedrine HCl in urine at a cut-off concentration of 100ng/ml. This test will detect other related compounds, please refer to the Analytical Specificity table in this package insert. 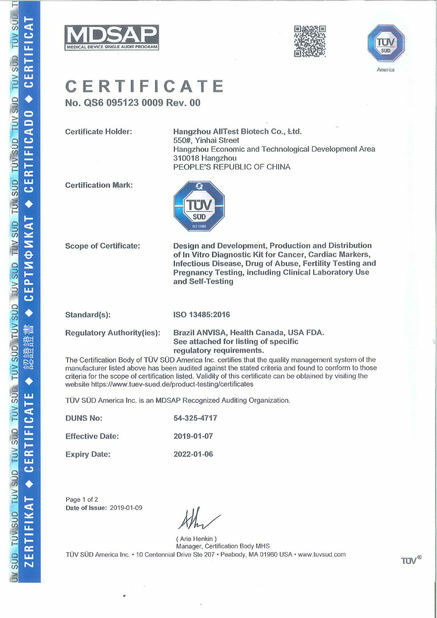 This assay provides only a qualitative, preliminary analytical test result. A more specific alternate chemical method must be used in order to obtain a confirmed analytical result. Gas chromatography/mass spectrometry (GC/MS) is the preferred confirmatory method. Clinical consideration and professional judgment should be applied to any drug of abuse test result, particularly when preliminary positive results are used. Mephedrone, also known as 4-methylmethcathinone (4-MMC) or 4-methylephedrone is a synthetic stimulant drug of the amphetamine and cathinone classes. Slang names include drone,  M-CAT,  White Magic  and meow meow. It is chemically similar to the cathinone compounds found in the khat plant of eastern Africa. Mephedrone comes in the form of tablets or a powder, which users can swallow, snort or inject, producing similar effects to MDMA, amphetamines and cocaine. In addition to its stimulant effects, mephedrone produces side effects, of which teeth grinding are the most common. A number of metabolites are possible, however the n-demethyl metabolite of Mephedrone will be 4-Methylcathinone. This metabolite appears to be nearly inactive as a Monoamine Oxydase Inhibitor .On further metabolism of this metabolite one of the possible metabolites is 4-Methylnorephedrine, caused by the reduction of the Keto.A dose of 150mg-250mg is the average, giving a duration of around 2 hours.the duration will lengthen in larger 250mg+ dosages . Allow the test, urine specimen, and/or controls to reach room temperature (15-30°C) prior to testing. Bring the pouch to room temperature before opening it. Remove the test cassette from the sealed pouch and use it within one hour. Place the test device on a clean and level surface. Hold the dropper vertically and transfer 3 full drops of urine (approx. 120 mL) to the specimen well (S) of the test cassette, and then start the timer. Avoid trapping air bubbles in the specimen well (S). See the illustration below. Wait for the colored line(s) to appear. Read results at 5 minutes. Do not interpret the result after 10 minutes. NEGATIVE:* Two lines appear. One colored line should be in the control line region (C), and another apparent colored line should be in the test line region (T). This negative result indicates that the (±)-4-Methylephedrine HCl concentration is below the detectable cut-off level. *NOTE: The shade of color in the test line region (T) may vary, but it should be considered negative whenever there is even a faint colored line. POSITIVE: One colored line appears in the control line region (C). No line appears in the test line region (T). This positive result indicates that the (±)-4-Methylephedrine HCl concentration exceeds the detectable cut-off level. A procedural control is included in the test. A colored line appearing in the control line region (C) is considered an internal procedural control. It confirms sufficient specimen volume, adequate membrane wicking and correct procedural technique. 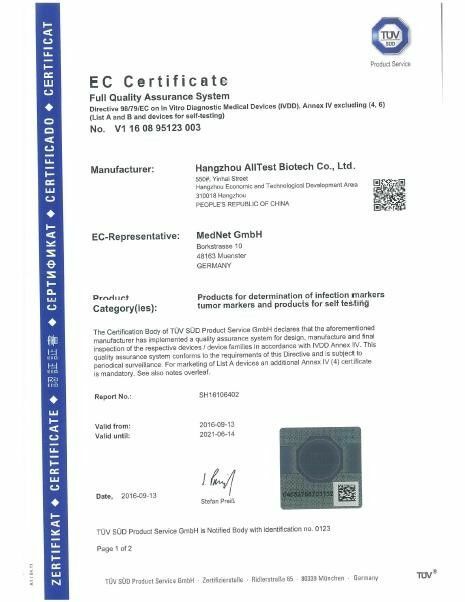 Control standards are not supplied with this kit; however, it is recommended that positive and negative controls be tested as good laboratory testing practice to confirm the test procedure and to verify proper test performance.